Change orders are inevitable in any construction project, especially large and complicated projects. A change order is issued when there is a change in the scope of work, cost, and timeline of the project that alters the contract. It can be challenging to manage a change order in the complex and dynamic environment of capital construction projects and can result in an additional cost and delayed schedule. The most common reasons for a change order include drawing errors, design changes, specification changes, material unavailability, and unforeseen conditions like weather. A change order can be initiated by an architect, owner, contractor, or inspector. It is imperative to manage change orders properly to avoid any delay, dispute, and unnecessary expenses. Contract clauses should be clear, and adequate documentation and records should be maintained. There is much information flowing between the parties involved before an RFI becomes a CO for example. This requires drawing and design revisions, and proposed change orders, among other things. In a nutshell, it is vital to have a robust construction project management and communication tool to handle change orders efficiently. Projectmates online construction management software is equipped with all the essential features to manage the entire cycle of change orders effectively, which proves to be the biggest asset for Project Managers. Projectmates allows us to work collaboratively from anywhere. The cost controls information flows into the accounting system seamlessly. Projectmates has helped us reduce the number of Change Orders by 90%!" — Andy Ashton, Director of Construction and Renovation Services at Ensign Services Group, Inc.
Projectmates acts as a single source of truth for all project information, including documentation needed for change orders. New and revised drawings, photographs, RFI, daily logs, contracts, and change order requests are all located in one place. Site photos and videos can also be uploaded to mobile devices right from the field. Projectmates Construction Document Management Software reduces paperwork and other manual processes by allowing easy tracking and access to required information by an authorized user. The Document Management module also includes built-in version control, which avoids overwriting first drawing revisions. Most importantly, Projectmates provides audit trails that enable owners and other key decision makers to track and maintain a history of the interaction of users with all uploaded documents and files. This all comes together to reduce risk, increase transparency, and improve accountability for everyone involved in the construction project. Projectmates further simplifies the complete cycle of change orders by automating approval processes, making tasks such as tracking requests and approvals virtually effortless. An email notification is immediately sent to those that are responsible for handling the requests, and their actions are monitored in real-time. All guesswork as to where requests should be submitted is eliminated, saving time and effort while increasing accountability. Petco construction is now more competitive because of efficiencies gained through Projectmates. Approvals for Capital Expenditure Requests, Change Orders, and Invoices that used to take several weeks are now completed in just a few days." — Steve Ausdenmoore, Director of Construction at Petco Animal Supplies, Inc.
Projectmates cloud-based construction project management software provides unbeatable transparency. Every detail can be monitored and tracked, forgoing the need for constant progress-checking with team members. The Project Manager can create timelines in minutes while setting up tasks, targets, deadlines, and reminders. Team members can access their schedules and tasks from any device or location with Internet access. The Projectmates Ball-in-Court feature lets each person track individual tasks across all projects in one central place. This further boosts efficiency, accountability, and avoids delays. Projectmates dashboards are another powerful tool to monitor change orders. The Construction Project Dashboards provide real-time snapshots that are quick and easy to comprehend. For example, you can track change orders amounts by contractor or reason code (drawings errors, design changes, site conditions, etc.). Color coding also helps to pinpoint areas that need attention. Program managers can even identify trends and then drill down to the actual problem areas to make well-informed decisions on what action needs to be taken. Change orders are a fact of life in the construction industry, and managing them can be challenging. However, with comprehensive and collaborative construction management software like Projectmates, change orders can be handled in a way to minimize delays and maximize productivity. 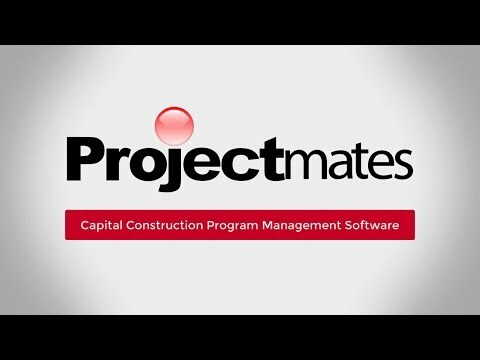 Projectmates offers a centralized program management platform to collaborate in real-time, automate the entire request-approval process, and efficiently manage the workflow from RFI to PCO to CO. The Ball-in-Court and Construction Project Management Dashboards aid in easy monitoring and decision-making. All of these features within Projectmates ensure that change orders have minimal effect on the budget and timeline of the project. A major component of smart construction project management is having accurate and real-time information on the progress of the various projects.